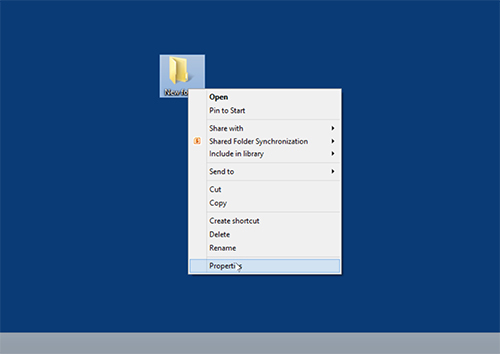 In this video tutorial we will show you how to create invisible folder. 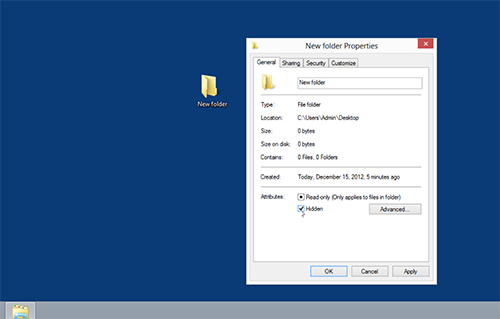 In order to create invisible folder you must select a folder. Right-click on it and click “Properties”. In the appeared window put a tick near “Hidden” checkbox and press “Apply”. 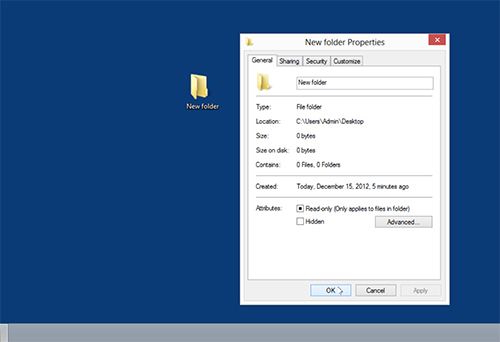 As you can see, selected folder is succesfully hidden. If you want to see the selected folder, you can switch off “Hidden” checkbox in the same window, press “Apply” and press “ОК”.